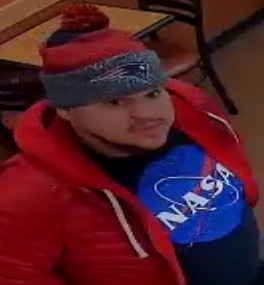 Dedham Police are looking for this guy in connection with the nearly $10,000 in charges they say he rang up on somebody else's credit card in stores in Dedham, the Fenway and Braintree, all on Feb. 1. Read more. Two years ago, we reported on this South Shore witch who had the power to divine immigrants and who would flash signs - while driving next to them - demanding to see their green cards. Turns out she's still at it. 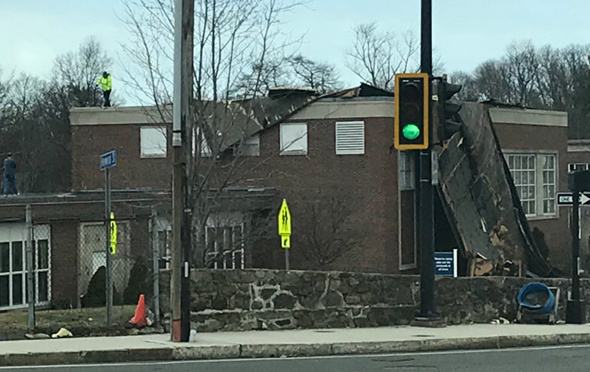 Ryl Lei reports on her Friday commute and an encounter at a stop light in Braintree: Read more. 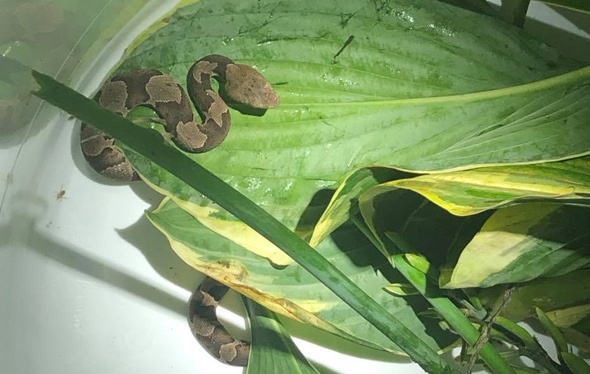 Braintree Police report a man coming out of one of the hotels on Wood Road - between the Blue Hills Reservation and the South Shore Plaza - was bitten by a copperhead snake Thursday evening. Read more. NBC Boston reports bands of pugilistic, wamped-up teens pounded each other throughout South Shore Plaza in Braintree tonight, at least until the police arrived. There's no longer a dead train at Braintree, but its non-existence on this corporeal plane isn't stopping it from causing what the MBTA describes as "moderate" delays. A chemical spill at the Chipotle, no less, Braintree Police report. UPDATE: WBZ reports somebody spilled a vinegar-based cleaning solution - and that one employee was taken to the hospital with a minor burn. Will Red Line commuters ever get free, when there's a signal issue at Braintree? The MBTA reports "moderate" delays because the signals at Braintree, they don't feel so well. Transit Police report arresting Cody Chery, 21, of Randolph on a charge of indecent assault and battery for an incident at the Braintree Red Line garage on May 16. Police say Chery went up to a woman in the garage around 5 p.m., asked her some "inappropriate questions," then "indecently assaulted" her. He then fled. Read more. Transit Police report arresting two people on charges of unarmed robbery and assault and battery with a dangerous weapon for an incident yesterday afternoon at the Braintree T station. Transit Police report arresting a Quincy man for a pair of attacks on the same woman at the Braintree T stop around 10 p.m. on Saturday. Read more.